Did you wake up and read an exciting movie news headline over your morning cup of coffee? Were you about to text a fellow movie-loving friend and exclaim joy because of something incredible that you read on your favorite film-news Website? Let me dash some cold water on your dreams, temporarily. Look at your calendar, friend, and remember that today is April Fool’s Day. Consider yourself warned! On April Fool’s Day, several entertainment sites like to pull fast ones by teasing readers with clever angles on possible stories that almost sound like they could happen, but probably aren’t. Everyone’s trying to have a little fun on this day of pranks, but keep your geek-news guard raised throughout the day, as that bombshell you just read could be a ruse! To help you out, we’re going to keep a running tab on the funniest – and most fake – news stories that drop during the day. Before you buy wholeheartedly into that crazy story you just read, swing by here and see if it passes muster. The Peanuts gang had a little fun with the latest, official teaser image for this year’s animated family comedy. 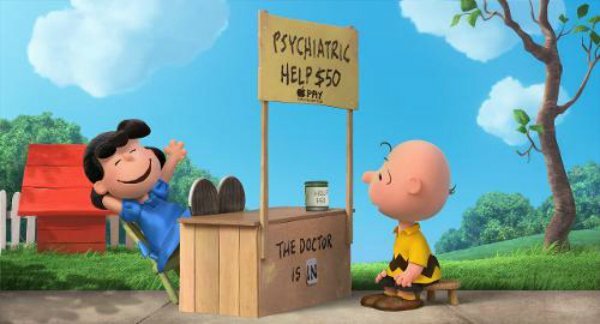 Instead of charging the usual nickel for her services, Lucy now bilks Charlie Brown for a cool $50. Thanks, Obamacare! It was only a joke, though. The regular image can be seen here. Do you still have a VCR in your house? 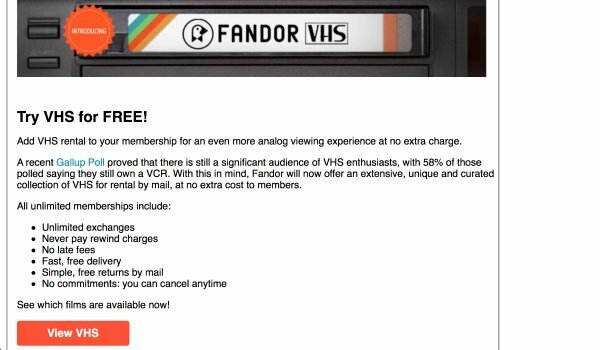 Then Fandor has an offer for you. The service is offering VHS rentals to customers for FREE! But only today. Because it’s April Fool’s Day. James Wan’s Furious 7 is about to tear up the weekend box office. And plans are underway for an eighth Fast & Furious movie. But despite what IGN reports, it likely will NOT be a mash up of Furious and Back to the Future, titled Fast to the Future! Which is too bad, because now that they have floated the idea, we’d pay anything to see this. Pet owners frequently go the extra mile for their animals. But would you subscribe to a service that streamed entertainment exclusively for your dog or cat?! 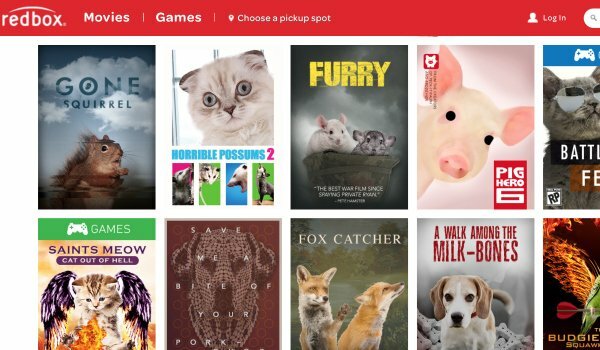 Of course not, which is why RedBox’s April Fool’s Day gag, PetBox, is just that… a gag. Scan the bogus titles on the site’s amusing site, where you can pine away for non-existent features like Gone Squirrel, Horrible Possums 2, Pig Hero 6 and Fifty Shades of Greyhound. Be honest. You would watch most of those movies if they actually existed. 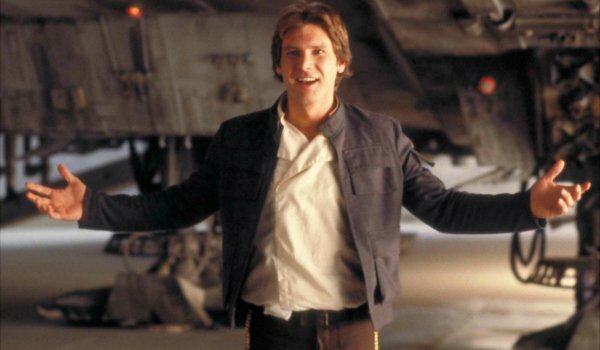 Collider is having a lot of fun covering classic stories from geek-news history, exploring Steven Spielberg’s role in Tobe Hooper’s original Poltergeist film, or speculating on whether George Lucas made the right call by hiring his carpenter, of all people, to play Han Solo in some movie called Star Wars. It’s a clever guess at what movie sites might have looked like, had they been up and running in the 1970s and 80s. Are you fired up for Mad Max: Fury Road? Of course you are. But are your KIDS excited for it? 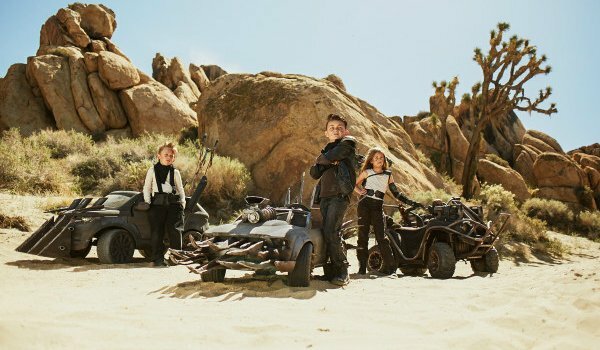 These amazing recreations of the various killer vehicles from George Miller’s post-apocalyptic wasteland could help rev their engines for the sequel (get it? )… if they existed. They don’t, though, and neither do any of the admittedly cool but totally bogus products for sale over on Nerdist today. Duped again! This one’s really funny, but probably all-too-close to being true some day soon. Will Ferrell and Adam McKay introduce a new concept over at Funny or Die for "Dips," which are original videos that only last 1.5 seconds. 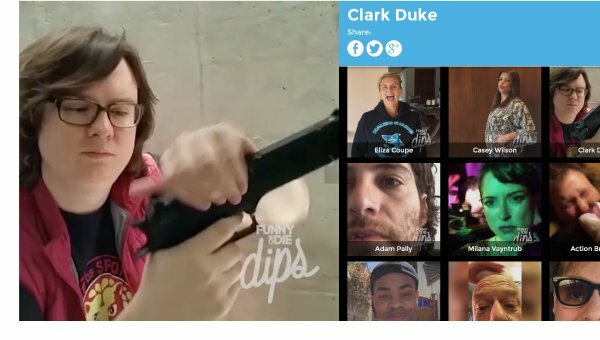 McKay jokingly calls it the perfect medium for creativity, and the dup recruited a slew of celebs – from Judd Apatow and Joel McHale to Clark Duke and Arnold Schwarzenegger – to submit their best 1.5 seconds of footage. These are seriously addicting. I hope this gimmick lasts past April Fool’s Day, to be honest. Hit the home page of Amazon.com today and you may feel like you slipped into a coma, then woke up in the late 1990s. The retail site redesigned its front yard with a very familiar look… especially if your surfed and shopped Amazon a decade ago. Contrary to popular reports, though, ESPN’s new design is NOT an April Fool’s Day prank. We all love ESPN’s "30 for 30" documentary series. We even love the fake ones. 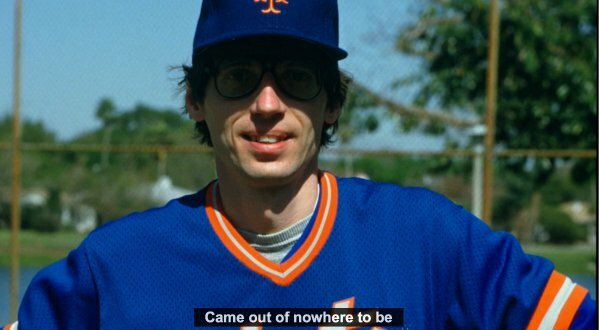 Enjoy this doc short, Unhittable, about a New York Mets pitching prospect whose skills were too good to be true. (Which means they were false.) The truth is, Sidd Finch was created as a ruse for the April 1 issue of Sports Illustrated. Only, many were fooled. Part 1 of "Unhittable" will air on the 6 p.m. ET SportsCenter on Wednesday, April 1, with Part 2 airing on the 6 p.m. ET SportsCenter this Friday, April 3. The full film will air Saturday, April 4, at 9:30 p.m. ET on ESPN.